We sell the best Mazuma Wasabi Rhizomes - The stem of Mazuma Wasabi is reddish-purple and easily recognisable; it takes over 2 years to grow. This is why it is so rare! Wasabi Crop is located in the Orchard County of Armagh on the Island of Ireland. The specific climate of Northern Ireland enables the right conditions to grow these rhizomes sometimes known as wasabi root. We are committed to growing and supplying wasabi rhizomes to all our customers. Wasabia japonica or Eutrema japonica known as the 'King of Herbs' adds a distinct flavour, an unusual pale green colour to foods and is particularly prevalent in Japanese cuisine. Interestingly the rhizome - although hot in flavour - is refreshing in the aftertaste with a distinctive heat component which quickly dissipates in the mouth. This action leaves an enjoyable and mild sweet vegetable taste with no burning sensation or unpleasant aftertaste. These rhizomes add an aesthetic and culinary appeal to various foodstuffs and are popular in Japan. 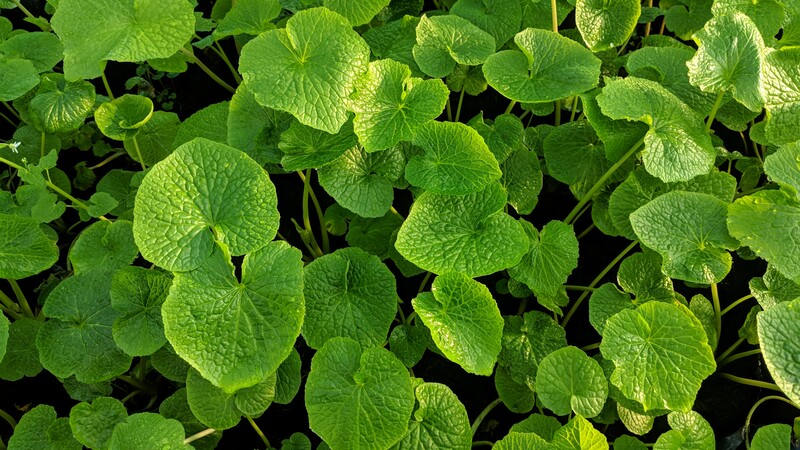 Today, wasabi rhizomes are finding widespread use in Western cuisine especially with its ability to convert an ordinary dish to an extra special one with unique flavour and compelling taste. Mazuma Wasabi Rhizome The fresh wasabi rhizome takes over 2 years to mature. Ella McSweeney the presenter of Ear to the Ground went to visit first-time wasabi farmers Dr Sean Kitson and his son Zak to harvest some rhizomes. “Green Gold”. “King of the Herbs”. Wasabi, traditionally served with Japanese cuisine, has a lot of nicknames. But according to the first man on the island of Ireland to grow wasabi commercially, Sean Kitson, all may not be as it seems. He joined Ray D’Arcy to give him the lowdown on the most expensive vegetable in the world. Produce of Northern Ireland Enjoy your grated wasabi - providing new foods for your table!